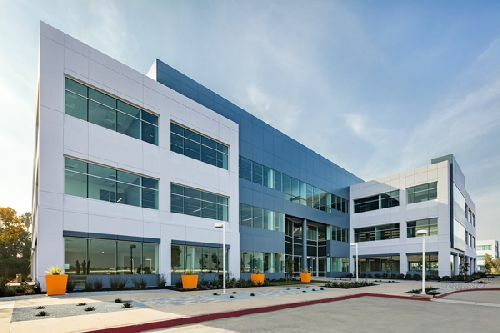 CDK Global has agreed to a lease for 76.4k sf of office space in San Jose. The space is at 250 Holger Way, within District 237, a newly renovated Class A office park comprised of five buildings totaling 415k sf. Terms of the deal were not disclosed. District 237, formerly known as Corporate Technology Centre, is located at 350, 300, 250 and 200 Holger Way, and 100 Headquarters Drive, with full frontal views of Highway 237. The campus is owned by KBS Real Estate Investment Trust II, who began exterior renovations at the office park in June of 2018. The project was fully completed in March of 2019. Located in Silicon Valley, District 237 is in close proximity to San Jose’s Mineta International Airport, a new BART station located in Milpitas opening in 2019, several nearby restaurants and retail outlets located within the @First Center a block away. The property’s location is attractive to a wide range of technology-based users. The office park is also easily accessible from a variety of lodging options including the Courtyard by Marriott San Jose and the Hyatt House San Jose. Chris Shepherd and Todd Husak of CBRE represented CDK Global, a leading provider of IT and marketing solutions for automotive retailers. Erik Hallgrimson, Steve Horton and Jeff Cushman with Cushman & Wakefield repped KBS in this transaction. According to Cushman & Wakefield’s Q4 office report, 2018 was one of the strongest years for overall leasing activity in Silicon Valley. With an increase of 3.2% year-over-year growth, San Jose demonstrated the highest percentage increase in the entire Bay Area. The tech sector was and continues to be a strong contributor to job growth in the region. This activity is expected to continue into 2019 with increased tenant demand in the area.